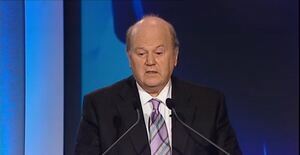 Speaking at a news conference in Warsaw, Michael Noonan added that he was confident France’s Francois Hollande was in favour of the EU’s fiscal rules and said Ireland did not oppose his drive of adding “growth elements” to the pact. 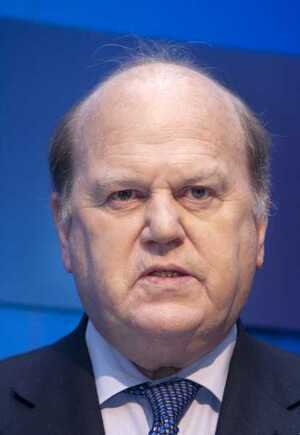 “It would help us…if Mr.Hollande would soon clarify what he would like to add to the treaty,” Noonan said. Well, Shane Ross did warn them. Posted in News and tagged François Hollande, Michael Noonan at 6:23 pm on May 7, 2012 by Broadsheet.